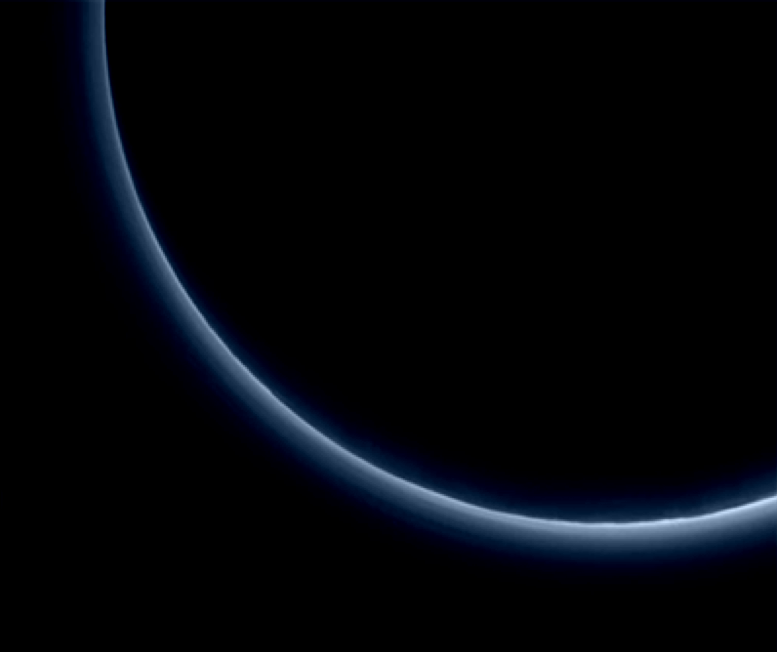 Pluto’s thin atmosphere is mainly nitrogen, and leaking away from the planet at a significant rate. 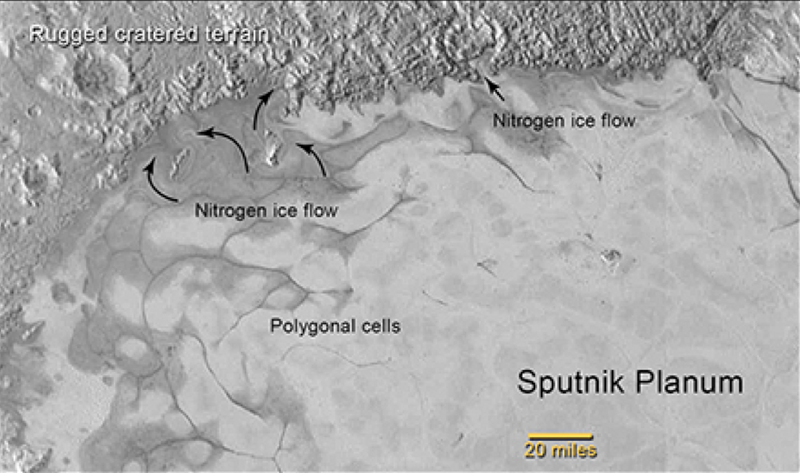 Scientists speculate that cryovolcanic activity is continually releasing enough new nitrogen vapor to keep the atmosphere from completely dissappearing. Cryovolcanism. Just had to say that one more time. You can read more at the New Horizons mission web site.